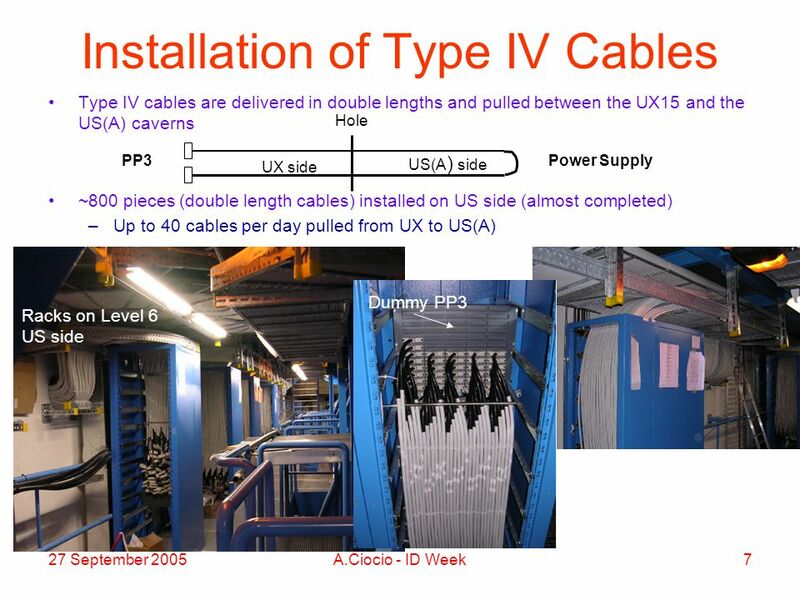 27 September 2005A.Ciocio - ID Week1 SCT Service Installation Overview Status of Type IV Cable Installation Type II/III Cable Installation Plan for the. 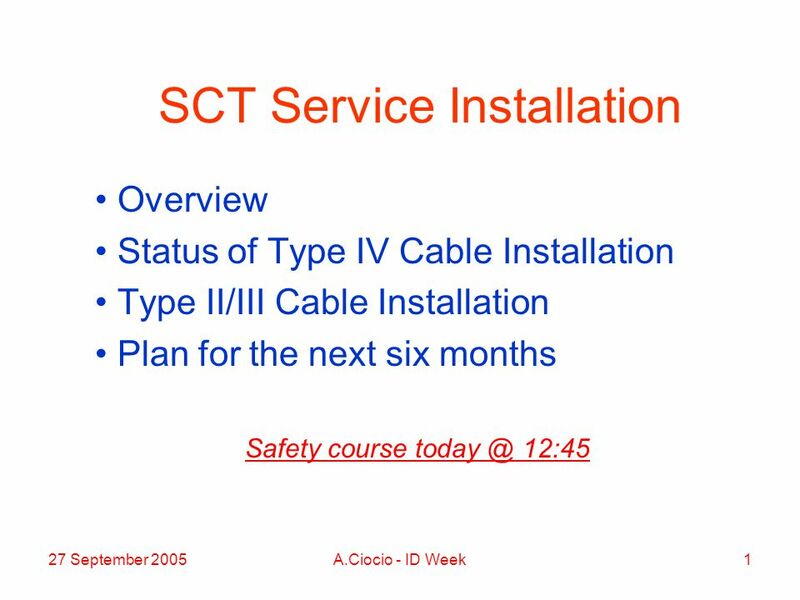 Download ppt "27 September 2005A.Ciocio - ID Week1 SCT Service Installation Overview Status of Type IV Cable Installation Type II/III Cable Installation Plan for the." ARA Production Status Jiwoo Nam. 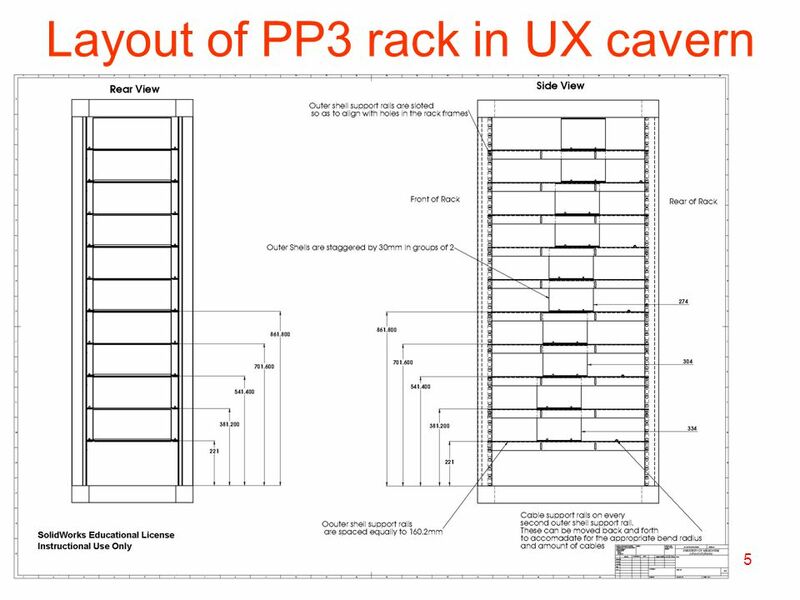 Overall Still Procurement Stage Mechanics under fabrication Delay on DAQ-stack boards, UW/UMD. 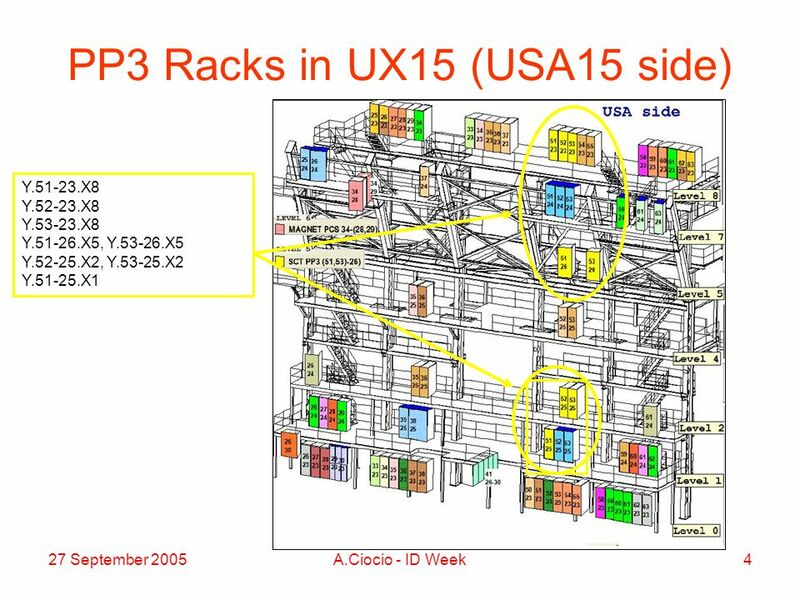 Preparation for ATLAS SCT/ID Endcap Completion at CERN Jo Pater Manchester, 4 January 2006. 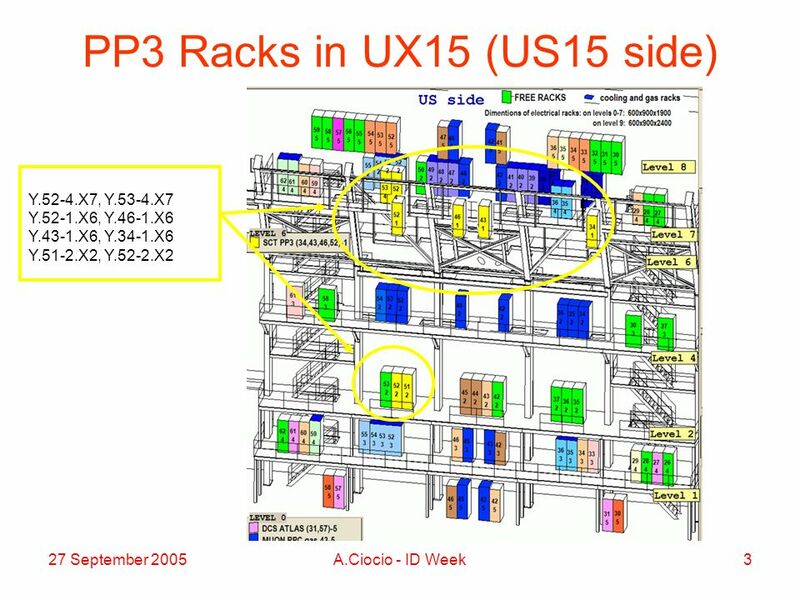 CMS Week March presented by John Coughlan RAL FED Hardware Status Pre-Series Manufacture Final Production Plans. M. Gilchriese US ATLAS Pixel Meeting July 18-19, 2002 UC Santa Cruz. 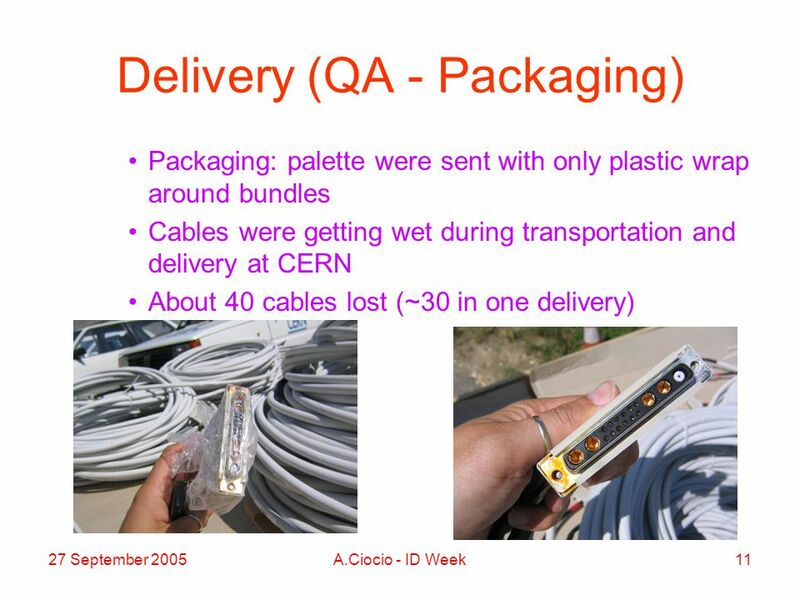 Seog Oh/ Duke University/June, 2003 TRT/ ATLAS week at CERN Duke Production Status. 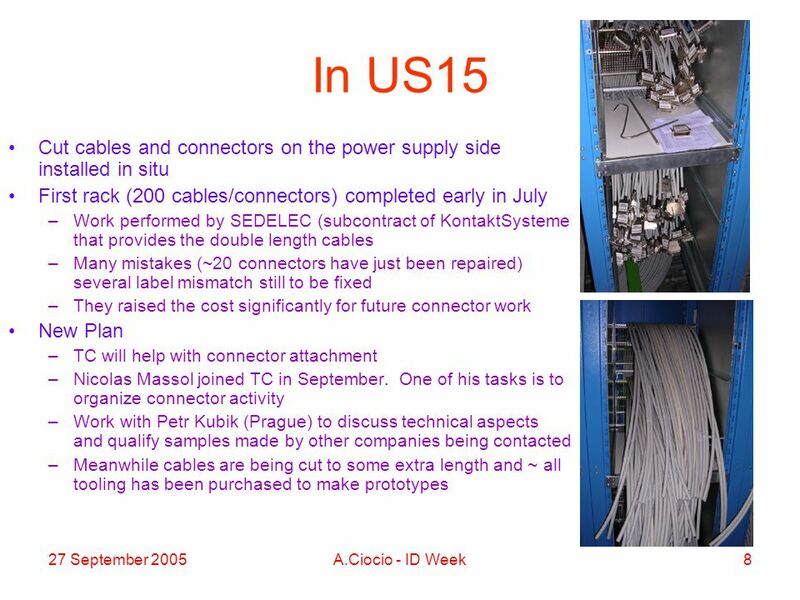 SCT Power Supply Installation Schedule Jan Bohm, Prague AS, 4 th November 2005 The SCT Power Supply System will be installed in 22 LV&HV racks situated. CIEMAT technological contributions to linear colliders Fernando ToralGandía, 3/12/2005. Electronic Systems Support LV PS Procurement - Status February 28, 2005. 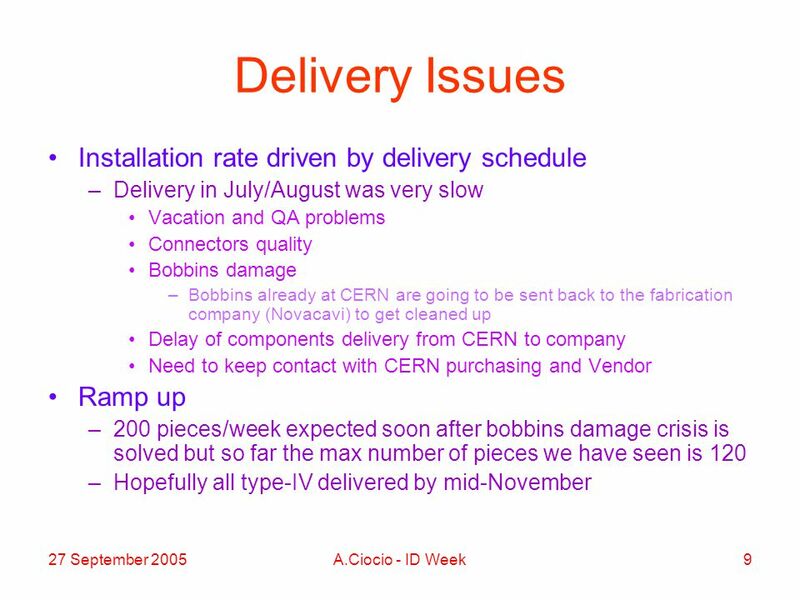 Project Managers Update Roy Preece Particle Physics Department, STFC MICE Video Conference, 18 th September 2014. ATLAS Pixel Detector February 2003 N. Hartman LBNL 1 Pixel Support Tube PRR: Assembly, Production, Schedule February 2003. MINER A Director’s CD-3b Review 11 June 2007 Kevin McFarland University of Rochester 1MINERvA WBS 1,2,4: Scintillator and Fiber Fiber Milestones: WLS Fiber. LAr ROD Status Arno Straessner and Alain, Daniel, Annie, Manuel, Imma, Laurent, Eric, Jean-Pierre, Gilbert,... ATLAS Geneva DPNC January 12 th, 2005. GLAST LAT Project November 18, 2004 I&T Two Tower IRR 1 GLAST Large Area Telescope: I&T Integration Readiness Review Integration, Facility, Configuration. 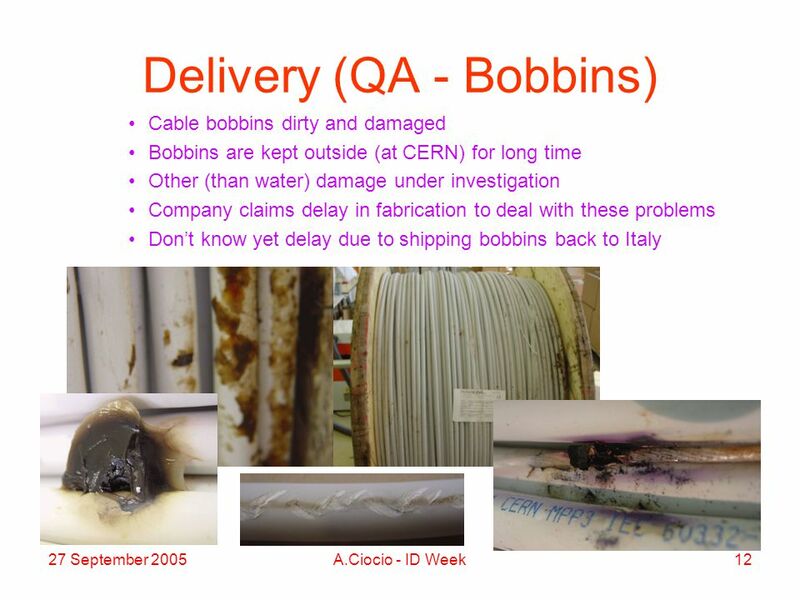 Walls crates cables gas chambers electronics CERN adb. 31 January 2006A.Ciocio - SCTSG1 Type IV cables and PP3 Installation Type IV installation Connector in situ work Status of PP3 Testing. 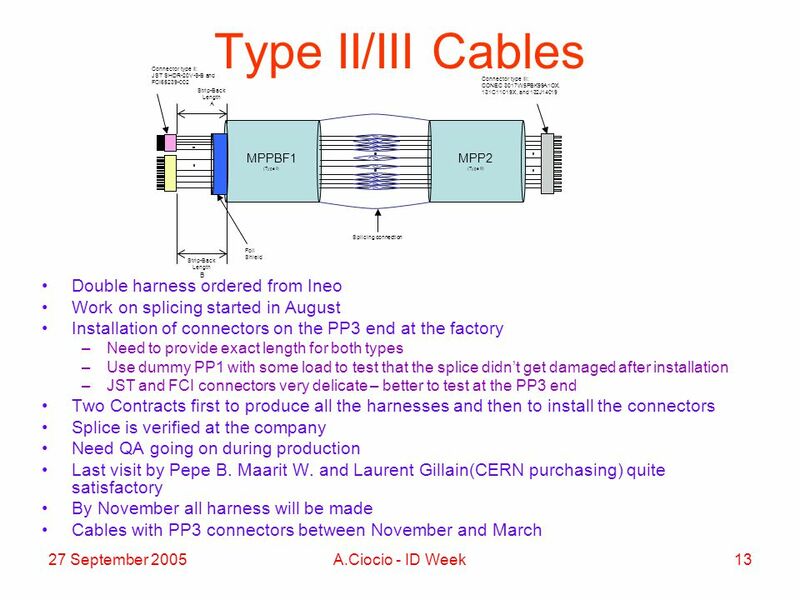 29 November 2005A.Ciocio - SCTSG1 Type IV Cables and PP3 Status of Type IV installation Connector in situ work Status of PP3 Testing. IBL CO 2 cooling control system development status Lukasz Zwalinski – PH/DT/DI Maciej Ostrega – PH/DT/DI Florian Corbaz – EN/CV/DC. For more information, please contact 19/11/2010 EN/CV/DC Chiller design and purchase by Elena Perez Rodriguez. 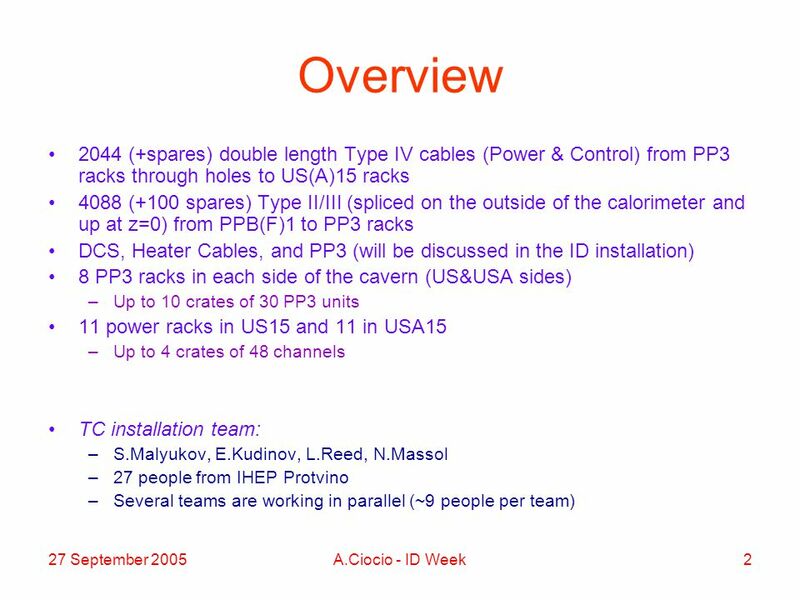 Preparation of SPD Cabling Calo comissioning meeting – 19th July 2006 – CERN I.Status of cables II.Cable reels III.Labelling IV.Cabling inside a VFE box. 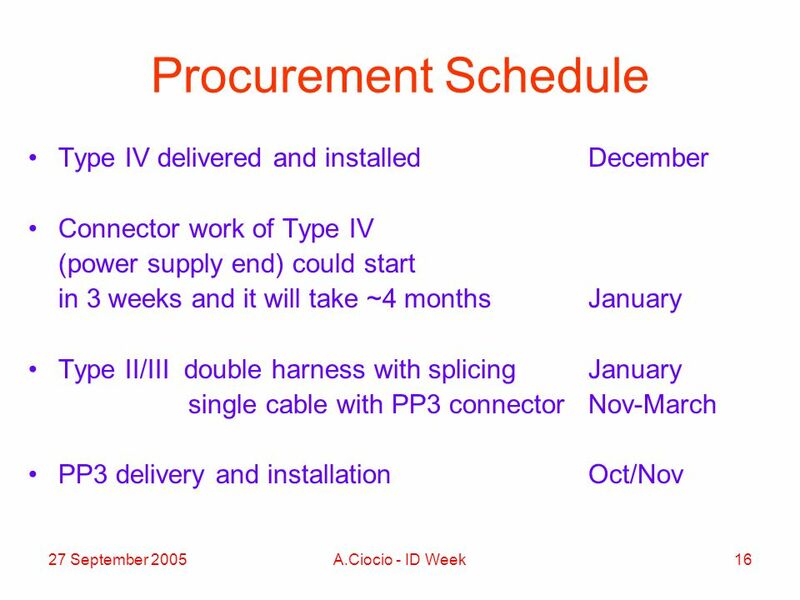 14 February 2006A.Ciocio - ID Week1 SCT Services Procurement & Installation Type IV PP3 Type II-III and PP1 Fibres Heaters DCS Testing MTF Workpackage. 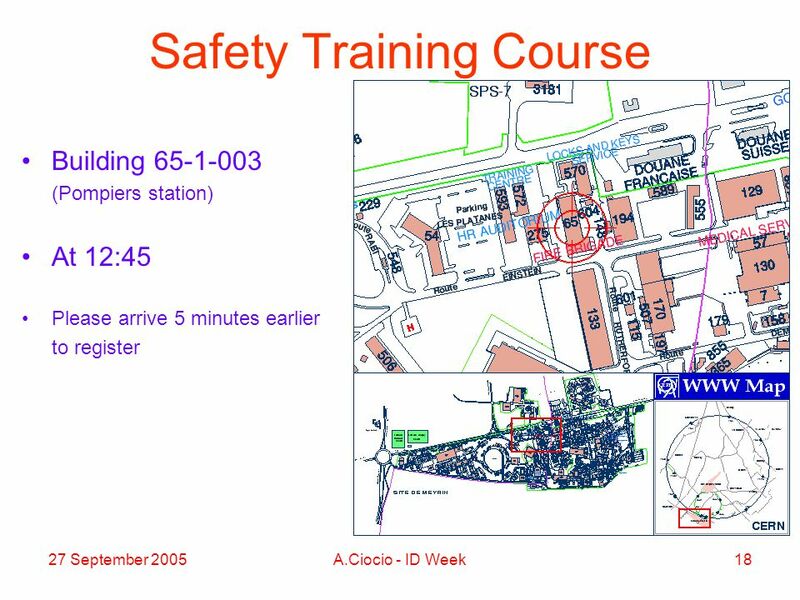 DT1 Gas Section Debrief of 2005 activities.. 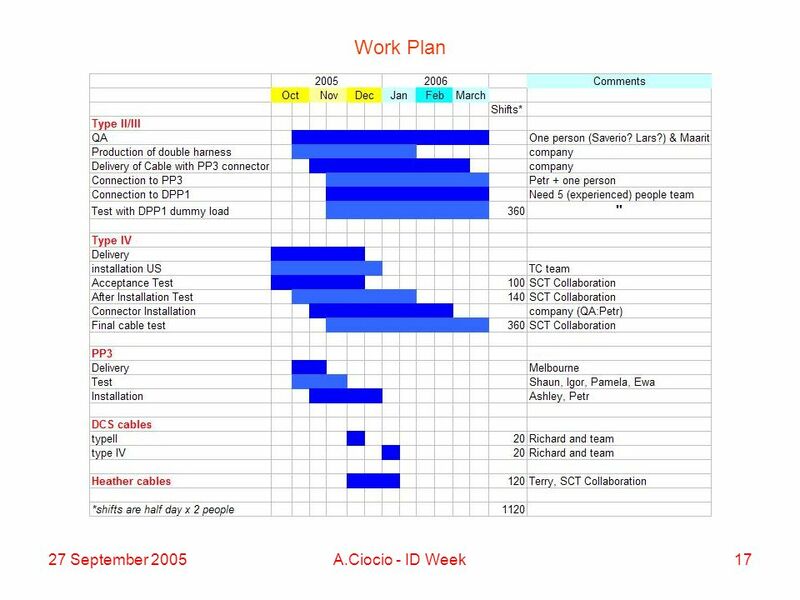 The Purpose of the Debrief  Compare plan and achievements. 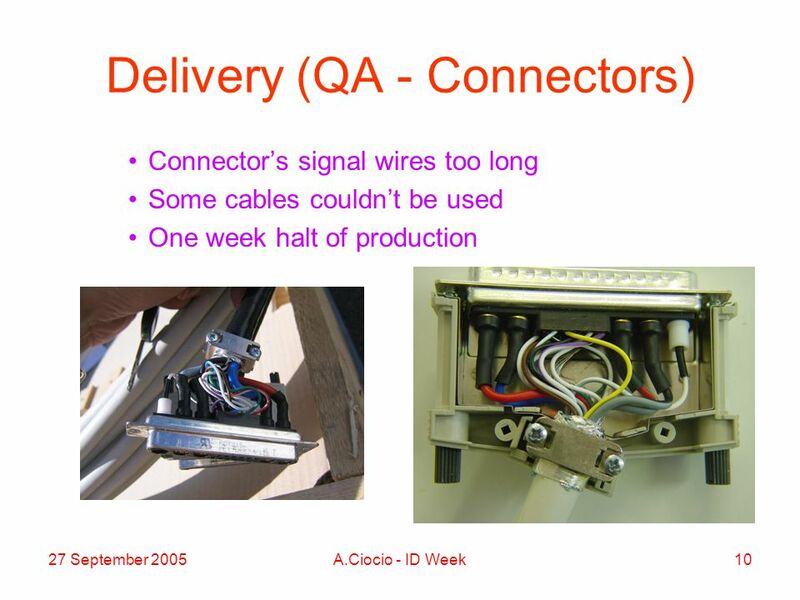  Analyze how the work is done ? Do we meet the.